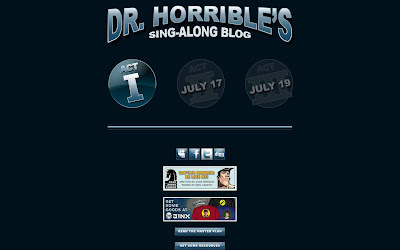 Joss Whedon launches Dr. Horrible's Sing-along blog - and its already heading for cult status! Dr.Horrible is weird, different and fun. The Hollywood writers strike shook up a lot of areas and a by product was that influencers, like Joss Whedon, started re-evaluating ways of doing things. 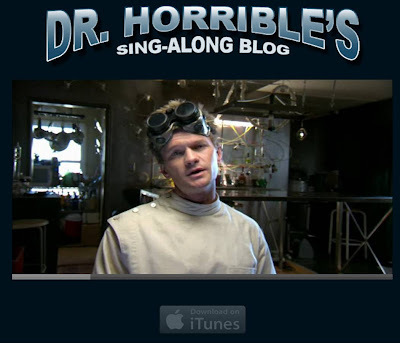 Dr.Horrible is well made and cleverly distributed through internet and social media channels. At the same time others like MySpace are experimenting with webisodes that ultimately come together in a full length feature (eg Beyond The Rave) and this is an area that will continue to develop as video sharing sites seek to expand the volume of professional content that they index. Feature films that split down into small chunks that can be easily digested through mobile or social networks are on the increase!